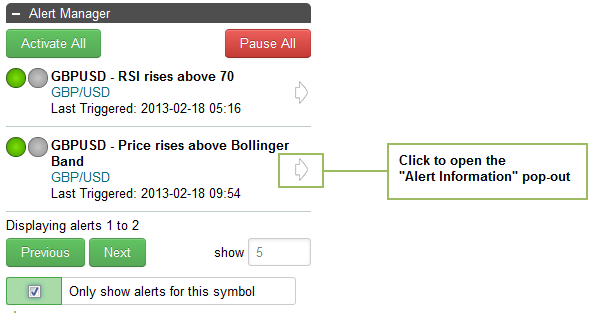 To make changes to the alert, click the "Pause & Edit" button. 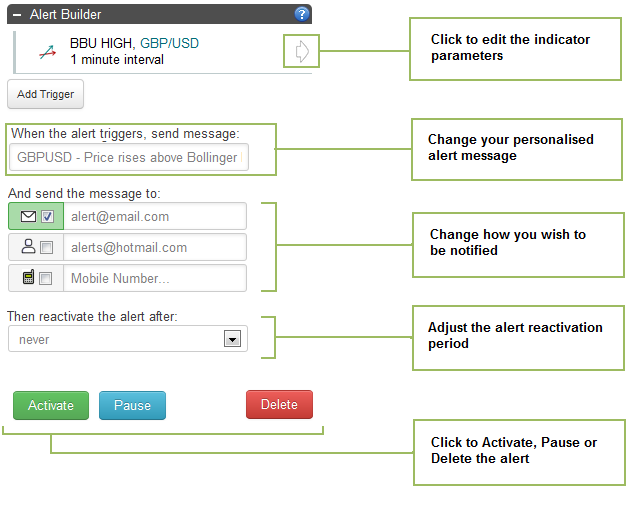 The alert will then appear in the "Alert Builder" section, from where you can change the indicator parameters, adjust the re-activation period, edit the personalised message or change your notification methods. 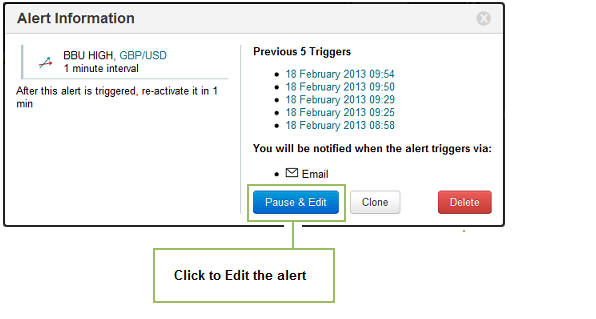 Please note, whilst you are editing the alert it will be paused, so timetotrade will not be checking to see if the alert conditions are met during the time you are editing the alert. When you have finished editing your alert, don't forget to click the "Activate" button to start the alert running and checking for your specified chart conditions once again.